If you've been reading widely about the arrival of the Xbox One and PS4, you'd be forgiven for wondering why Microsoft and Sony are bothering at all; after all - so many commentators have sagely told us that the rise of app gaming on our mobile devices plunge the survival of the console into the icy waters of doubt. But that, to me at least, is nonsense. Utter baloney. In fact I'd go as far as to say that this generation of consoles has the potential to become truly gargantuan, if the big guns keep it together. I buy app games - and you almost certainly do as well. At no point have I bought an app game that has made me think, This is so much better than my traditional gaming experience that it makes me doubt whether I will buy a next-gen console. The most bleedingly obvious reason for this is that console gaming is, and in all probability will stay, better than on your mobile phone or tablet. If Apple or Samsung had provided a truly breakout way of giving me decent controls, or a mobile device that is capable of truly providing the quality of graphics, sound and gameplay that I want, then I'd be worried - but only for handheld consoles. 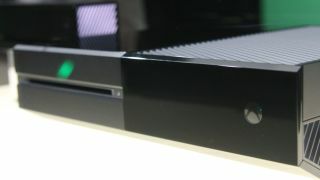 If either company had provided a seamless way to make the games play in a way that looks truly awesome on my big screen television and that allows me to join multiplayer games as quickly and easily as Xbox Live does, then - and only then - would I think that the apps-kill-consoles argument carries any weight. If you want to play a game at its awesome best then you are going to need a console or a PC. And, gazing into my crystal ball of tech, I would say that will remain the case even in five years' time. I buy app games as well as traditional games, not instead of. But what of the diminishing audience, those that just needed a diversion and now have an iPad or a smartphone to provide one? Well, gaming has become mainstream in a way that the last generation of consoles only began to tap into. When the Xbox 360 came out I couldn't really afford a console but I wanted one so much I bought one anyway - my generation has gamed their entire life and many of us can now afford to splurge on an Xbox One or PS4. And the people who are now where I was that cycle ago are still going to be forking out for a console - just as I did. I can justify the outlay to my wife because the consoles are also Blu-ray players, media hubs and social media conduits. I can play Half Life 3 one day, entertain my niece and nephew with a Kinect game the next and watch a Netflix movie later on. It makes sense for me to own one. What's more, we're now in an era where it is okay for an 'adult' to be seen to indulge in gaming. I'd say that I'm still in the minority among my friends, but if I mention to someone at a party that I love FIFA on the Xbox I no longer feel that I am a social pariah. My biggest decision isn't going to be whether I get a console, but which console I'll be getting (I confess, it won't be a Wii U). And I won't be alone in this. The price of the consoles will perhaps soften their immediate success, and the price of games might well have to shift downwards. But to write off this generation as potential failures rather than likely successes seems ridiculous.